Ah yes. This is more like it. Forget your NFL, or your Champions Cups, or whatever else it is you use, to cope with your January blues, because Hurling is back baby! And what’s more, it’s exclusively live…on RTE. No… really. It’s almost as if, after seeing TG4 lead the way for the last 20 years, the folk at Montrose have finally realized that, hey, people actually like to watch our national game for more than a couple of months every year. Now it’s a bit of an unusual league this time. The GAA has gone all “American Sports franchise” on us and decided to forego all of that relegation malarkey from the top tier. So while there is a trap door from Division 1B, the 2020 reincarnation of the competition will see two equally weighted groups of 6, rather than a top heavy 1A and a 1B that contains few middleweights. But what can we expect to happen over the next few months? The fun is in the finding out right? So without further ado, here’s the Sportstalk league predictions for 2019. Strap yourself in though, because, as a Qantas pilot might say, this is going to be a long one. No talk here, sorry, we’re Tipperary. Yes, we all had a bit of a chuckle the other week when we heard about goalkeeper Brian Hogan refusing to ask questions about the county hurling team IN JANUARY, but if you can get over the absolute ridiculousness of county GAA players not willing to talk about, you know, playing GAA for their county, there’s a serious point at play here. This is a Tipperary team that means business. In a sense, it has to. Liam Sheedy is nothing if not a fiercely impassioned hurling man, and if it seemed an unusual move him coming back to the fore last Autumn, you may be sure he wasn’t going to do it by half measures. And why would he? Last year was an unmitigated disaster for Michael Ryan and his troops. Not only was the championship a nightmare, the very fact that the Premier completely collapsed in the second half of the league final against Kilkenny, was an ominous precursor as to what was to happen for the rest of the season. So it’s not like there isn’t some serious motivation for the Premier to redress the balance here. On paper, it’s a side that looks as good as any. But paper teams win paper cups don’t they? That 2016 All-Ireland win seems a long time ago now. It’s time for Tipp to win some real silverware again. Say what you want about Davy Fitzgerald’s managerial techniques (and most people do) but there’s no denying one thing: the man always seems to have his charges primed for league competition. In the last 3 years Davy has won the national league with Clare, secured promotion from Division 1B with the Slaneysiders and followed it up with another semi-final appearance last year. In a sense though, Wexford’s excellent early season form is both a blessing and a curse. Now getting promoted from Division 1B in 2017 was a fine achievement, and it seemed equally important to remain in the top division last year. But shouldn’t Davy be focusing most of his attention on more important matters? Like, Championship hurling say? Given their history though, the 8/1 outsider status of the county for the league is the greatest misnomer of all. Sure, if you were putting money on an All-Ireland winner tomorrow it would be a brave man who would back Wexford. But considering their form over the last few years in the spring, a long run is not out of the question. Listen to the sound…of silence. For the first time in, well, Brian Cody’s reign most probably, you’d be forgiven for thinking that the Cats hardly existed. Nobody’s tipping them for honours, nobody’s talking about them in the media, there’s not a peep out of them. Never before during Cody’s tenure has his side gone three years without an All-Ireland. The fact that that’s noteworthy is astounding in itself. The Ballyhale contingent, especially TJ Reid, will be a massive loss for the first few rounds of the league. And there’s still question marks over certain positions, like, will Padraig Walsh continue at full back? And yet given that, there’s still an astounding resilience about Cody and his side that makes the impossible possible. Last year, they were beaten in their first two games, yet somehow contrived to conjure a league title out of nowhere. And let’s not forget that they were only barely downed by the All-Ireland champions in a quarter final classic in Semple Stadium. Are they the best team in the country? No, patently not. But they’re not that far away either. Cody has made fools of us all before. He could do it again this year. Holding the fort or building a fortress? After a tentative opening season, Donal Moloney and Gerry O’Connor impressed in, so very nearly, getting to an All-Ireland final last season. But how much further can they take this Clare side? Is it possible they can get an All-Ireland out of them? Or is this just a stopgap year before, oh I don’t know, say, Anthony Daly steps into the breach again next year? Now Clare have any array of exceptional hurlers, Tony Kelly, Peter Duggan, John Conlon et al, but the loss of Shane O’Donnell in spring will be keenly felt and, besides, there may be other sides with more of a point to prove in spring time. Still and all, if they can have a serious summer, you can be sure the Banner folk won’t be complaining. Some counties (Kilkenny, Wexford etc) seem to make success in the league a major objective of their year. Others (ie the Rebel one) definitely don’t. In the last two years we made the mistake of thinking that underwhelming springtimes were portents of fallow summers on Leeside, and they very nearly made us eat our words both years. So as Mike Love once memorably said to Brian Wilson in the beach boys, why “F*** with the formula” now? Now obviously, I’m sure that John Meyler and his troops want to do well in the league. But unlike Davy Fitzgerald say, Cork seem secure enough in themselves to know that, whatever happens now is just a mere aperitif for the real stuff that begins in May. Limerick’s success last year was a fantastic story obviously. Not only that, it was a story that gestated in the league. On a second captains podcast before Christmas, Kyle Hayes was asked what was their most important game of the year, and despite their monstrous 8 game run through the championship, he plucked for the effective League 1B decider against Galway in March. In a sense, it’s impossible to argue against that. 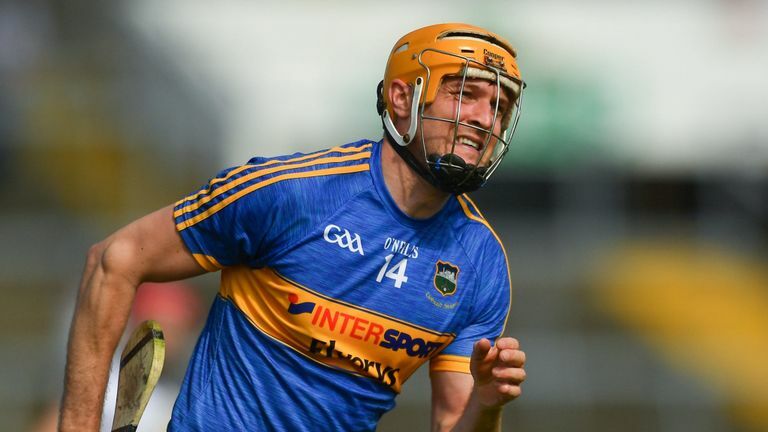 Those epic tussles against Galway (turning round an 8 point deficit to prevail by a point) Clare (winning on 65’s after a game that never seemed to want to end) and Tipperary (just being edged out in extra time after another mammoth battle) showed just how much the side had progressed. They may not have ended the league with the ultimate prize, but it gave them the belief that they could scoop the most important silverware later on. And without that ground-breaking win in Salthill, do you really think the Treaty men would have been successful against the same opposition in the All-Ireland final 5 months later? But what about this year? Now I know they’re an exceptional bunch of young lads but springtime hurling can be unforgiving and bringing that cup around to every cockfight in the county/country over the last 5 months is bound to have taken it’s toll somewhat. So with the best will in the world, this may just be a difficult few months for the reigning All-Ireland champions. Then again, they’ve proven us wrong before haven’t they? And so, the post Derek McGrath era begins. That the De La Salle man was one of the most likeable and hard-working inter-county managers around is beyond dispute. But, whisper it, is there the ever so slight suspicion that Waterford under-performed during his reign? That’s not really a question that we can answer now, but let’s see how Paraic Fanning gets on and then we can make a more solid judgement. The ex Wexford selector is a bit of an unknown quantity in inter-county managerial terms, and he’ll probably be eager to make an impression early on. Now it’s anyone’s guess how well Waterford will do this year, but convincing Brick Walsh to have another roll of the dice is a positive start. There’s certainly enough talent in the squad to be contenders, and after a disastrous season last time, they’ll be chomping at the bit for a decent springtime. It may be just me being deliberately contrarian, but I’ve a funny feeling Galway actually like the cozy environs of Division 1B. Yes, I know, they’d never say it publicly, but in the last two years they’ve won an All-Ireland title, their first in 29 years remember, and very nearly clinched another, all from the position of a supposed hurling backwater. Now considering the restructuring of the league this year, there’s even less of an incentive for Galway to go full throttle than usual. What IS very necessary for the county, is to find a few new recruits to ably support the already well established first 15. So expect the likes of Paul Killeen, Sean Linnane, Davy Glennon and co, to see plenty of game time this Spring. Because Galway will sure as hell need more strength in depth come summer. Interesting. Very interesting. It went under the radar a bit, but if you were to take a straw poll of the unluckiest inter-county side in competition last year, then the Dublin hurlers would most likely be at the top of it. On the face of it, only one win from four in the Leinster Championship last season doesn’t look anything remarkable. Scrape beneath the surface though and you realize how desperately close it was to being 2, 3 or even 4 victories. Alas, Pat Gilroy and Anthony Cunningham have gone and they’re all starting from scratch again. Now Matty Kenny certainly seems the right man for the job, and while the likes of Gary McGuire and Shane Durkin have retired, he’s still got most of last year’s squad to call on. So the Dubs are certainly a team to keep an eye on over the next 6 months or so. Like Ringo in the Beatles, you get the impression that the Barrow county are just happy to be here. When you consider how low the county’s hurling fortunes were in the past, the very fact that they are in Division 1B, and amongst the top 5 counties in the Leinster championship, is reason for celebration in itself. Is there a glass ceiling for Carlow they won’t be able to pass in future? Possibly. But considering they took Laois and Offaly’s scalps in the most recent Walsh Cup games, they may just fancy their chances of doing something similar in the League. Second season syndrome. Kevin Martin was praised for his work in his inaugural year as Offaly manager, but it’s still open to interpretation as to what’s the true level of his side. Is it the one that hammered Dublin in the opening game of the league last year and gave a good account of themselves in their opening two games in Leinster? Or the one that was summarily dismissed by Dublin and Wexford in their final 2 games of said championship? At this stage you’d be fearful of how they may react to games against the likes of Galway, Waterford and Dublin. Obviously promotion from the Christy Ring Cup is the main objective for the year. But you’d still want a bit of forward momentum from the league to give you the belief for the summer. There’s poisoned chalices and then there’s poisoned chalices. It’s been a wonderful winter for Eddie Brennan, what with winning a intermediate county title with his club and progressing to the latter stages of the All-Ireland championship, but the hard work starts here. Maybe things are fine and dandy in the Kilkenny side of his garden, but it’s a little less rosy north of the border. Last year wasn’t the best one for Laois hurling. They only barely survived in the top tier of the National League, and didn’t exactly pull up much trees in the Joe McDonagh cup either. Then there was the fractious county final which has resulted in their star player Ross King, coincidentally or otherwise, withdrawing from the county panel. When this column wrote a few months ago that this would be a seriously challenging job for Brennan it was lambasted by some Laois folk for saying so. Well you can accuse me of being a negative nelly all you want, but where exactly is the positivity coming from? We’ll see over the next few months.